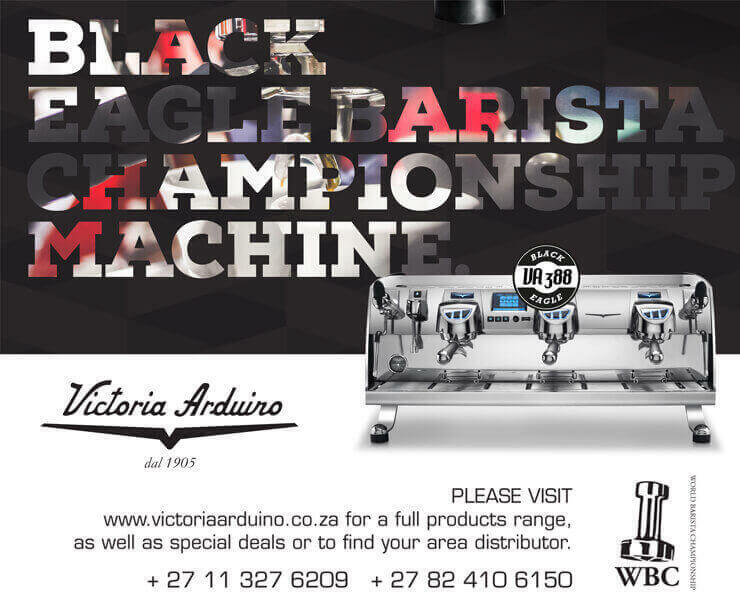 If you are in the Johannesburg area and you love coffee - you are in for a treat over the next few days! From today, Friday 20th until Sunday 22nd July, the CoffeeChoc Expo is happening at Montecasino. 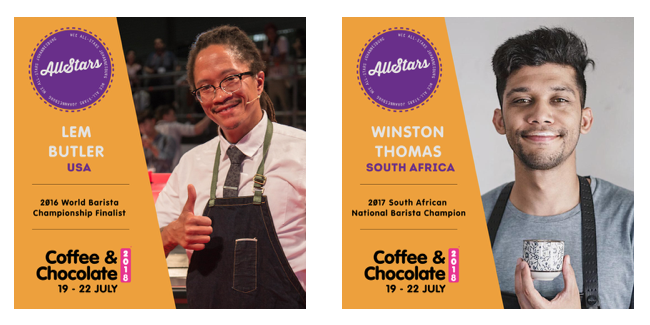 Highlights of the show from a coffee point of view will no doubt be the World Coffee Events All Stars - a selection of 4 International coffee professionals, the Almond Breeze Breezey Masters and the Deaf Barista competition. The All Stars for 2018 are WBC 2018 Champ Aga Rojewska (Poland), World Roasters Champ 2016, Aleandru Nicolaie (Romania), World Latte Art Finalist 2013 Esther Maasdam (Netherlands) and WBC finalist 2017 Lem Butler (USA). The All Stars will be doing interactive demos like mystery drink challenges, pop quizzes, on-demand performances and meet & greets, so you can get up close and personal and learn from the best in the world. 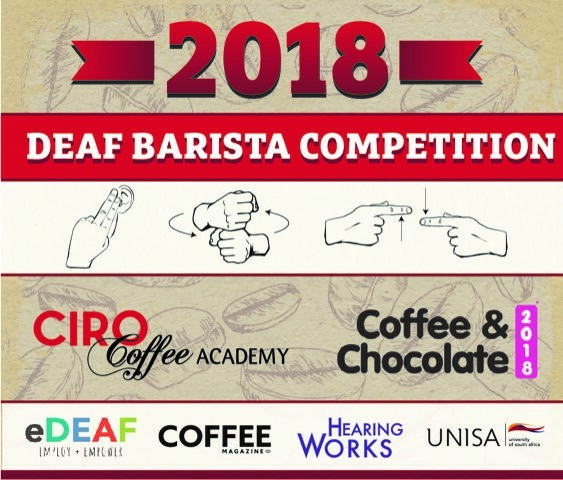 The second ever deaf barista competition - this is a really great event! These baristas are all new in the coffee industry and for many this will be their first ever competition. It is quite novel in that all communication is via sign language and visual cues - even the audience - instead of clapping, you wave! Come and learn a few coffee terms in sign language and support these brave baristas! This is an international Latte Art competition, being held in SA for the first time. Baristas have 6 minutes to pour 4 designs using Almond Breeze Barista Blend. It;s high pressure, high stakes and high action! 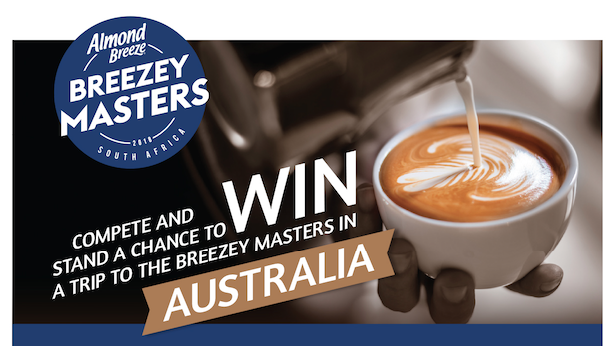 The winner gets to represent SA in Australia at the end of this year in the Breezey Masters Global Finals! The event is by invite only, but there are a few Wildcard slots, so come along to the Almond Breeze stand if you would like to enter as a Wildcard.